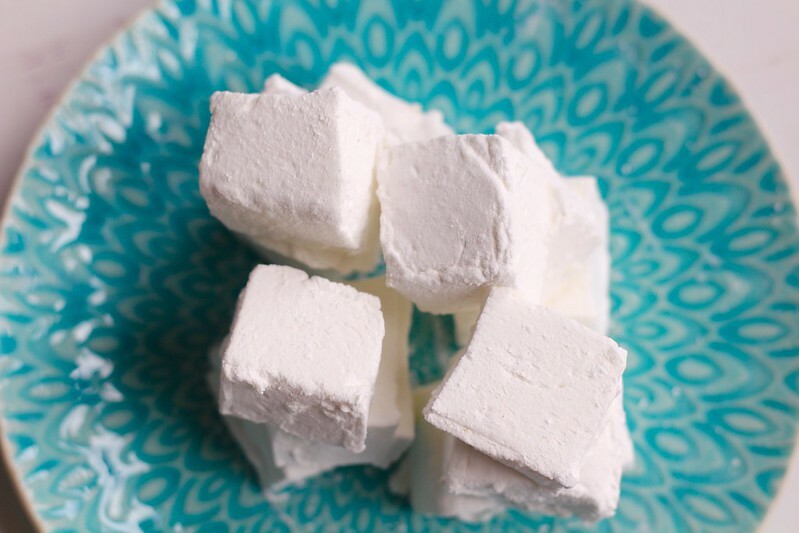 So, marshmallows aren't something that I am exactly head over heels about. Sure, I ate them when I was a kid, but I wasn't in love. 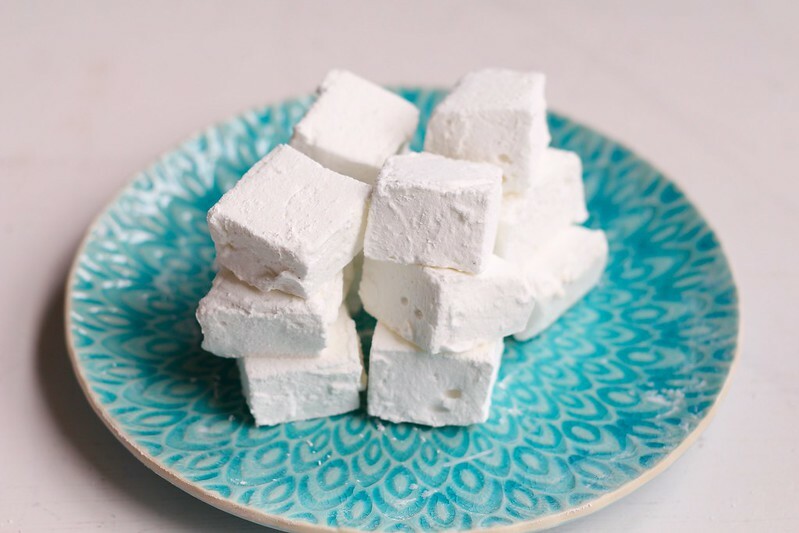 In the past few years, I have come across bloggers making their own marshmallows. I always thought to myself, 'psht, why bother? It's not like we eat them that often anyway.' Ha, talk about inserting foot into mouth. About a week or so ago, I was browsing dessert recipes I have bookmarked, for school lunch ideas for my kids. They can't bring anything with nuts since there is a school-wide ban due to many children having nut allergies. As well as coconut, so my options are limited on what I can make that everyone enjoys. It makes me step out of the box and be creative! I like it. 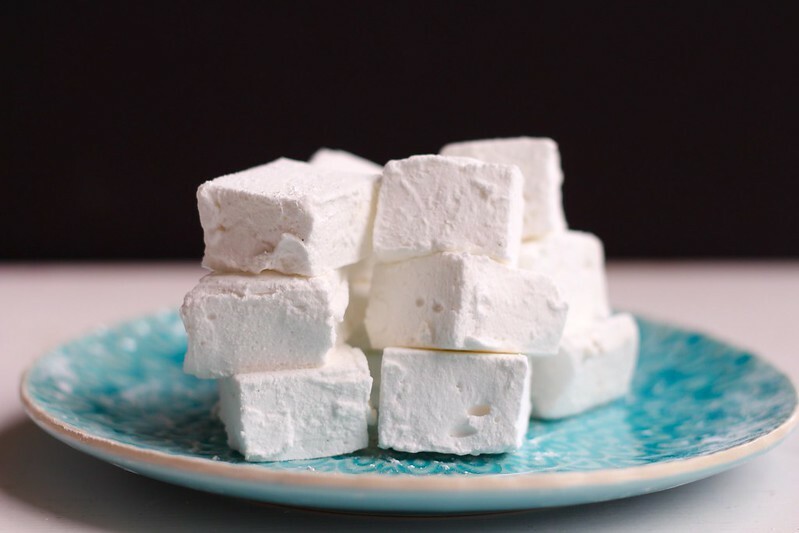 So, when I stumbled across a recipe that involves homemade marshmallows thrown into a baked bar form, I figured it was time to make the homemade version. Um, why the heck did I wait so long? They are SO easy, and SO delicious. They even have vanilla bean seeds in them! Hello, those make everything better! I could totally eat these plain. The beauty of these are, they toast beautifully, I'm taking PERFECTION here people. (And yes, the caps are necessary.) And, they can be stored for ages! So, yes, this makes a large batch, but I do believe that hot cocoa season is approaching quickly. Make these and hang on to them until I share a dessert recipe that involves these beauts. Place 1/2 cup of the water in the bowl of a stand mixer fitted with the whisk attachment. Sprinkle the gelatin over the surface to soften. Meanwhile, in a small saucepan with a candy thermometer attached combine the remaining 1/2 cup water, sugar, corn syrup, seeds scraped from the vanilla bean, and salt. Cook over medium heat until the mixture reaches 240˚F. Immediately remove the pan from the heat. With the mixer on low speed, slowly add the syrup to the bowl with the gelatin. Once all of the syrup has been added, increase the speed to high and whip until the mixture is very thick and lukewarm, about 12-15 minutes. Blend in the vanilla during the final minute of mixing.